If you’re looking for a used Nissan Maxima for sale, it’s possible that you’re already feeling a bit overwhelmed with what you’re finding in terms of material on the Internet. This is a model that’s been available for more than 30 years, so simply typing, “used Nissan Maxima” into a search bar likely led you in several different directions. While it’s good that you’re looking for a vehicle that’s popular, as that’ll make it easier to maintain and manage with available parts, it can be difficult to pinpoint what you’re looking for with specificity. A lot of buyers out there are looking for a model from a particular year, as that tends to indicate the mileage that they’ll generally find on these vehicles. We’re going to break down the years 2009 – 2015 below to help kick start your search for a used Nissan Maxima in terms of efficiency and, hopefully, results. One thing is certain: You are searching for a vehicle that’s going to serve you well. A used Nissan Maxima is a solid investment to say the least, and it’s one that should serve you and yours well for the long haul. Looking at these specs, it’s clear that this is a performance vehicle that also brings a lot of power and consistency. That’s why it’s remained one of the best-selling pre-owned vehicles offered by the manufacturer. You won’t go wrong if you find a used Nissan Maxima for sale and you take advantage of the opportunity, particularly if it’s been maintained properly and it has a relatively low number of miles. Given the success of the 2009 Maxima, the company didn’t see much reason to make any drastic changes to its 2010 model. It still offered what were basically identical performance capabilities and size particulars, and it was still known as a sedan that could and did perform in many ways like a much smaller sports car. 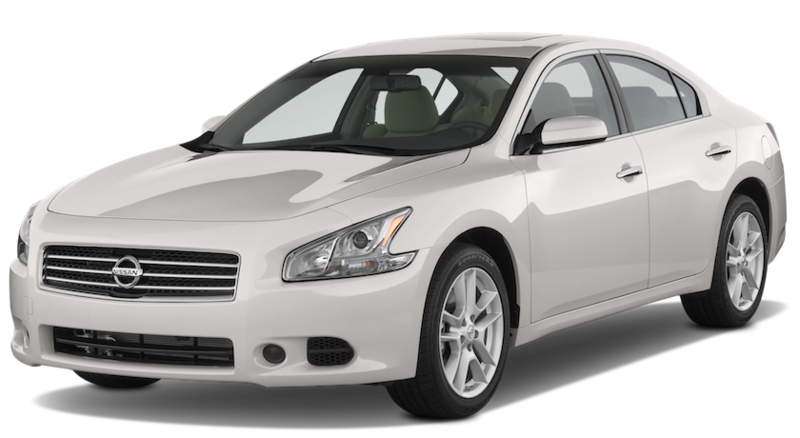 If you close your eyes and get behind the wheel of a 2009 Nissan Maxima and then climb into the cabin of the 2010 model, it’s likely that you won’t be able to tell the difference immediately, which makes sense given its popularity. Overall, the 2010 model offered the typical changes in wheel finishes and exterior colors, but the biggest change seems to have been its incorporation of developing technology into its standard offerings. That’s quite common with any successful vehicle. There’s an old saying that applies to just about every context imaginable, and that includes the automotive market: If it ain’t broke, don’t fix it. That seemed to be the idea once again behind the 2011 Nissan Maxima, as it continued to be marketed and successfully sold as the 4-door sports car. Very little changed with the 2011 model as compared to the previous year, and that’s not an accident. The company continued to offer what people liked. Other than the tailpipe finisher, every change made this year was related to color schemes of some sort. If you find a 2012 used Nissan for sale, you will likely notice the difference between its look and feel from previous years. Nearly every change involved technology advancements and new colors, along with a new package offering. Otherwise, Nissan stayed the course with the 2013 model. That means that if you’re looking for a used Nissan Maxima from this year, you’re getting almost the same vehicle as was offered previously. If you’ve noticed, the amount of space needed to describe the changes in the Nissan Maxima models offered has gotten progressively smaller. That’s because the changes on a year-to-year basis became progressively fewer. We’ve reached the point now where there were basically no changes between the 2014 and 2015 models. In fact, the company called the 2015 Maxima part of an “extended model year” because there were basically no adjustments to the design, engine capabilities or anything else. A used Nissan Maxima in 2015 is basically the same vehicle as a used Nissan Maxima for sale from the 2014 model year. Visit us at McCluskey Auto! Overall, the Nissan Maxima is a vehicle that will perform for you for years if you take care of it and make a sound purchasing decision. We hope that you enjoy your model for as long and as much as so many other people have during this timeframe. Between 2009 and 2012 Nissan basically optimized the Maxima and then continued to keep up with the latest technologies on the market. From time to time we are lucky to have a used Nissan Maxima come across our lot at McCluskey Auto. The only problem is that we can’t keep them for very long so come check out our inventory and see if you can drive off with one of these great used vehicles.